With the discerning eyes of curators, the relentless curiosity of detectives, and the enduring determination of historians, three authors uncover the stories of Southern California artworks whose messages were almost lost forever, but now are preserved in the pages of ¡Murales Rebeldes! : L.A. Chicana/Chicano Murals under Siege. During the 1960s–1970s Chicano civil rights movement, Chicana/o muralists took to the streets, creating works that expressed cultural pride, embodied political activism, and challenged the status quo. Painted on the walls of city buildings, housing projects, schools, and other community structures, these murals became the artists’ voices—interpreting the heritage, the identity, and often the plight of Chicanas/os in America… and invigorating and transforming communities. With more than 175 images and essays capturing the spirit of an era in Los Angeles, ¡Murales Rebeldes! presents the dramatic stories of eight murals from the turbulent 1970s to the complacent 1990s. For those who take pride in Los Angeles’s diverse cultural heritage and prize its urban art, ¡Murales Rebeldes! is a must-have testament to the importance of arts preservation. This relevant and compelling history reveals the contributions of Chicana/o artists and their work in their communities and the shocking truth about how quickly a cultural icon can either disappear or be saved. 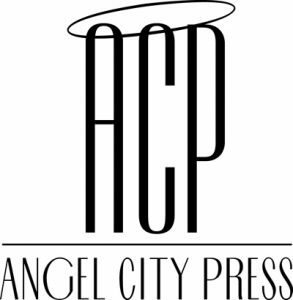 Angel City Press was established in 1992 and is dedicated to the publication of high-quality nonfiction books. Our award-winning books are sold in fine gift and book stores and online. Drenched in nostalgia yet undeniably cool, each Angel City Press book is luxuriously illustrated and showcases the modern design concepts of California’s top graphic artists. Each is forever readable, forever giftable. Angel City Press books are published with extraordinary attention to detail, in the finest tradition of the bound page. In May 1993, we published our first book, Hollywood du Jour, in the hands of hungry, nostalgic readers. In the ensuing two decades, we have learned that our readers’ tastes and hungers go way beyond food, and we have done our best to chronicle the cultural history of the West. ¡Murales Rebeldes! L.A. Chicana/Chicano Murals under Siege joins our list as we celebrate our 25th anniversary.